Requirement: Get all permission changes in a SharePoint Online site collection. 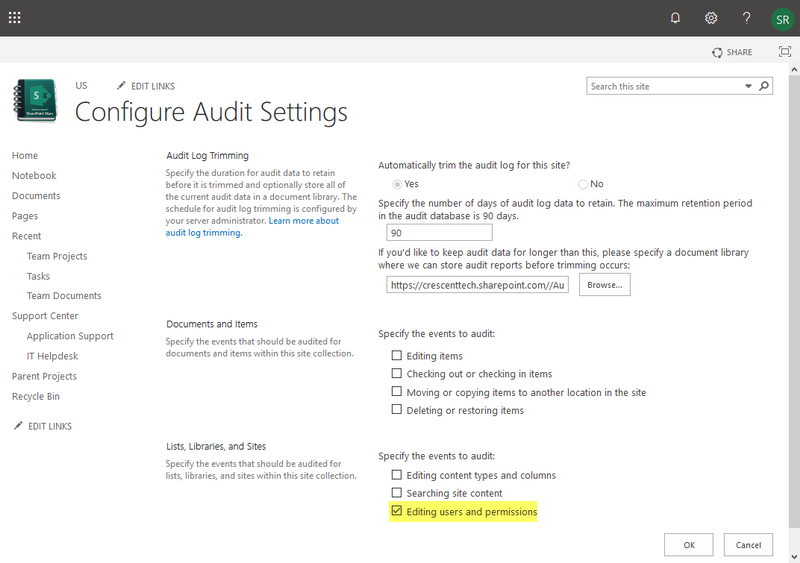 Auditing permission changes is critical for SharePoint Online security. Audit reports provides permission changes report to track changes to security such as modifications to permissions, permission inheritance, group membership and security related events. Activate "Reporting" feature if its not activated already. Navigate to "Site Settings" >> Under "Site Collection Administration", Click on "Site collection features"
Click on "Activate" button next to "Reporting"
Go to "Site Settings" >> Click on "Site collection audit settings" >> Enable "Editing Users and Permissions" events to audit under the "List Libraries and Sites" settings. Specify the report location and Click on "OK" to run the report.